Competitions are a great way to generate awareness, extend your reach and build a community but there are also problems associated with this kind of promotion. Social media platforms are becoming much more strict about how these competitions are run and many organisations are risking the loss of their community by organising online competitions that break the rules or terms and conditions of the social media platforms. We are constantly asked for advice about online competitions and how they should be set up and managed. Very often the terms and conditions are not clear and open to misinterpretation. The September New Media Breakfast will take a look at online competitions and provide some advice about best practice for your future competitions. Is your competition within the rules of the platform/s you’re using? Is the competition going to achieve your objectives? Is it going to build a relevant community? Will it extend the reach and build awareness with relevant people? Will you be able to capture data? Are you using the right platform/s? These are just some of the things we will explore at the breakfast. If you have anything you specifically would like us to cover about online competitions please email us at hello@fatbuzz.com and we’ll try to include it in the presentation. 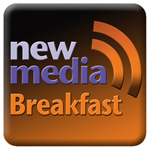 The September New Media Breakfast will be presented by Gordon White, Managing Director, fatBuzz Ltd.